LOWEST PRICE PER SQFT $149! CANNOT REBUILD AT THIS PRICE! 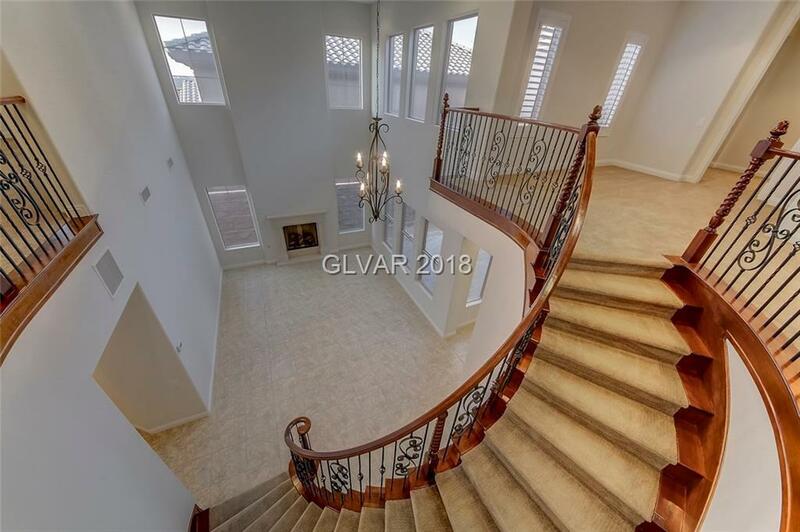 Stunning, barely lived in, semi-custom home in 24hr guard gated The Club at Madeira Canyon 4,805 sqft, 5 bed, 5.5 baths, den & loft. Largest model in the community! Upgraded custom cabinets & granite, GE Profile stainless appliances, wrought iron & wood semi-circular staircase & a master spa bath retreat. Includes access to clubhouse, fitness center, pool, basketball & tennis courts! Directions: From Eastern Avenue, South On Anthem Pkwy, West On Bicentennial, L On Anthem Highlands, L On Democracy, R At Roundabout To Guard Gate. L On Josephine.